Apartment 528: Apartment Security: Get it done! Apartment Security: Get it done! So I'm still on my apartment security kick. Having someone rob your house and steal your stuff will do that to you! Today I'm reminding everyone again of my two favorite alarm options. If your apartment doesn't already have a security system, I STRONGLY suggest asking your landlord to install one, especially if you live on the first floor like we do, have a basement, or live in a garden-level apartment. Those are the apartments a burglar will normally choose first since they're easier to access. Most landlords are perfectly willing to work with you if you ask. Read up on your options and be ready to suggest a system or two in case they ask. If there's been a number of thefts/assaults in your area or building, you'll want to include this info as well when you plead your case. Currently, my landlord is installing the SimpliSafe alarm in our apartment...I just wish I'd asked BEFORE our apartment was robbed! If your landlord won't budge on installing a system don't worry, below are two super affordable alarms that are perfect for you! 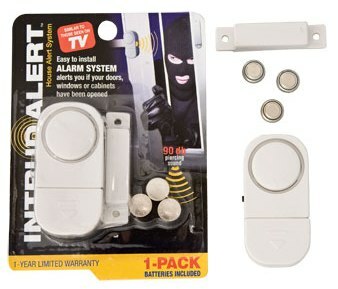 The first is the Intrud Alert door alarm for just $1 at Dollar Tree. I've used it before and it does just what it's supposed to do...sound a loud, annoying noise if someone opens the door/window you've placed it on. The main piece attaches to your door/window and the contact piece goes on the door jam/trim. Once you turn the alarm on, it will sound a noise anytime someone opens the door and breaks the contact between the two pieces. While the Intrud Alert isn't guaranteed to stop a determined criminal, it will deter your average bad guys from breaking in once they hear the noise and it does just as good of a job as most of it's pricier counterparts. It works great on windows, as an add-on to an existing system, to protect doors leading to common areas, or if you just want a little something to give you piece of mind. I love these things and will continue to use them as an additional layer of warning even once our security system is installed. The other alarm I highly recommend is SimpliSafe. 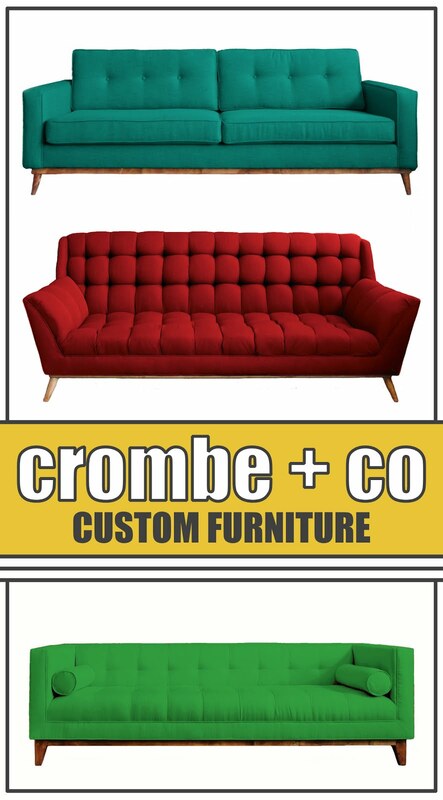 It's received awesome reviews from testers, including the New York Times and Apartment Therapy. SimpliSafe is a full-fledged, customizable security system that's great for renters. The starter kit is just $200, a lot less than ADT, Broadview, etc., and comes with a base system, keychain remote, 2 door/window sensors, and a keypad. 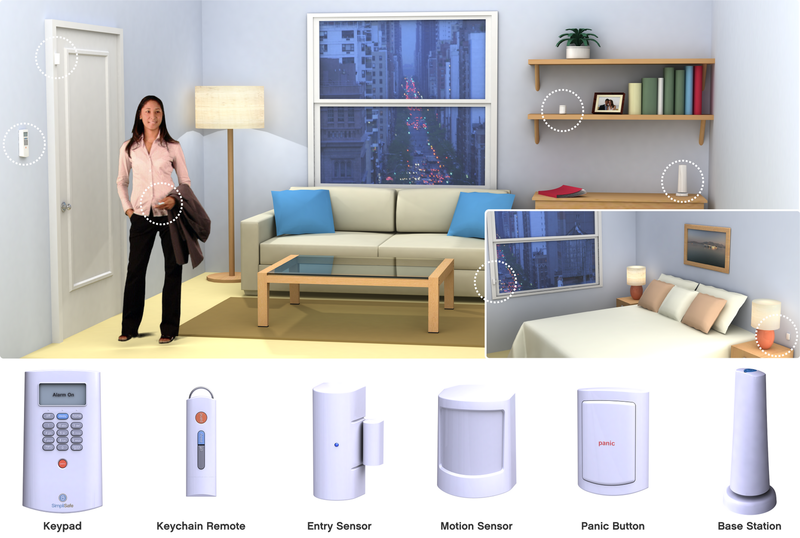 If you need more, you can easily purchase additional sensors, remotes, and even panic buttons to make the perfect system for your apartment. SimpliSafe comes pre-programmed and installs using 3M strips which can be removed without damaging your walls which is a major plus for renters. It's also wireless so you can easily take it with you from one apartment to another without having to worry about setting up a phone line. 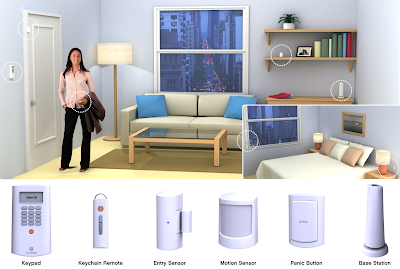 For $15/month, you can get monitoring which will alert the police if your alarm goes off. You can start/stop the service at anytime. Whether you choose one of the options above or go for something totally different, you should definitely get something, even if it's just the $1 Intrud Alert. No matter where you live, you're not immune to a robbery. Remember, you shouldn't sit around in constant fear of being robbed, but it's always smart to be ready just in case. Great idea. I think noise is a very effective deterrent. I think the people willing to continue into a house that has alarms wailing are very few. Now I don't have to worry leaving the house with these deterrents!